Politics of Sir Lanka is undergoing serious changes in the last decade. These changes have shaken the very foundations of the major pillars of the post-colonial hegemonic edifice of Sri Lanka. Two of such pillars are the two-party equilibrium system and the North-South equilibrium system. The objective of this presentation is to map the post-colonial political landscape in Sri Lanka in relation to these two equilibrium systems and shed some light on the changes that are taking place in these two systems. There was no well-developed party system at the time of the transfer of state power from the British colonial rulers to the indigenous elite in 1948. While the influence of the two organized left wing parties, i.e. the Lanka Samasamaja Party (LSSP) and the Communist Party (CP) restricted only to certain areas, the United National party (UNP) was only a makeshift arrangement that was made to face the 1947 general election. The number of independent candidates that were contested and won the 1947 election bear witness for the reality where the political allegiance of the voting public still remained outside political parties. This situation began to change since 1956 with two structural changes. Firstly, two major Sinhala-Buddhist parties, namely Sri Lanka Freedom Party (SLFP) and the UNP consolidated in the Sinhala-Buddhist south as two main electoral rivals. I call these two parties ‘Sinhala-Buddhist’ as they rely mainly on the support of the Sinhala-Buddhist constituency for their electoral success. From 1956 to 1977 these two parties mostly with other minor parties whom they formed electoral alliance with managed to defeat each other in successive elections. Secondly, two left parties which had evolved since 1930s as decisive force in Sri Lankan politics began to lose its grip on electoral process. As individual political parties, their impact was entirely disappeared after 1977. They could remain in electoral politics after 1977, even with the introduction of the proportional representation, a system that is much favorable for political parties with lesser voter-attraction, only through alliances first with the Sri Lanka Mahajana Party (SLMP), the party that managed to keep some voter-attraction immediately after the death of its charismatic leader, Vijaya Kumaratunga,and then with the SLFP. After 1994 sees the metamorphosis of the Peoples’ Liberation Front (JVP), which had devised its strategy to capture state power through organized armed insurgencies, into an electoral party. In this period the sudden growth of its voter attraction in the Sinhala-Buddhist South made one believe that it is emerging as a threatening force for the two-party equilibrium system. Tamil North and Sinhala-Buddhist South emerged as two separate politico-ideological entities since the latter part of the nineteenth century, the period that began the modern political sphere. In the South, the cultural revival started in the mid-nineteenth century transformed itself into a nationalist politico-ideological formation which defined its ‘self’ in opposition to ‘the non-Sinhala-Buddhist other’ including Tamils. Although there emerged indigenous elite political entity, Ceylon National Congress (CNC), in line with the powerful Indian National Congress, bringing together both Sinhala and Tamil elites, this alliance did not last long as Tamil elite left the CNC over the issue of distribution of limited spaces available for locals in the legislative council in the 1920s. At the time of the transfer of power, these two politico-ideological centers were well consolidated as separate entities. Unlike in India, however, where two similar historically evolved politico-ideological entities were transformed in two sovereign states, i.e. India and Pakistan, transfer of the power in Sri Lanka took the form of a single and unitary political entity, even in defiance of the so-called 50-50 demand that came from the Tamil political elite, as an alliance between Sinhala and Tamil political elite was forged in order to form a government following the 1947 general election. This alliance was however proved to be ineffective in the long run as Sinhala-Buddhist nationalist forces gained control in the government with the election victory of Mahajana Eksath Peramuna (MEP) in 1956. With the increasing Sinhala-Buddhicization of the state after 1956, in which certain measures by the state such as official language act of 1957, certain measures taken in the realm of university admission and allocation of state sector jobs, and land colonization scheme in the North and the East were viewed by the Tamil masses, especially those in the North and the East as calculated measures against them. These governmental measures were supplemented by ethnic violence against Tamil masses by Sinhalese in creating further negative image in the mind of Tamil masses. This situation strengthened the grip of Tamil nationalist political elite over Tamil masses and augmented the demand of the former for a regional autonomy for the North and the East. Amidst this ethno-based bifurcation of post-colonial political landscape in the Sri Lanka, the top layer of the political elite of the south and its think tank were very well aware of the gravity of the problem. Therefore, there was a continuous engagement between the Tamil nationalist elite and top layer of the governing elite, even at times of high tension, although there was no firm political will in the latter to come to a long-lasting agreement by defiance of Sinhala-Buddhist nationalist pressure. Bandaranaike-Chelvanayagam pact of 1958, Dudley-Chelvanayagam pact of 1967, enactment of the 13th amendment to the constitution following the Indo-Lanka accord, election manifesto of the Democratic People’s Alliance headed by Sirima Bandaranaike for the 1988 presidential election, the package of political solution of 1995 by the Chandrika Kumaratunga government and finally Ranil–Prabha agreement of 2002 were clear instances for the flexibility shown by the top layer of the political elite of the south in this connection. This flexibility was enabled by two factors. On one hand there was a significant distance between the hard-core of the Sinhala-Buddhist nationalism and the top layer of the political elite of the south. On the other hand, there was a pragmatic need for the political elite of the south to be flexible on the demands of the Tamil nationalism, and for those of the other minority groups such as Muslims. As the Sinhala-Buddhist constituency was sharply divided between two political camps headed by two major Sinhala-Buddhist parties, the support of the more unified constituencies of the minorities were essential for each of the two camps to ensure significant upper hand over its rival at elections and post-election efforts to form governments. The election victory of the United People’s Freedom Alliance (UPFA) marked the end of these two equilibrium systems that shaped the post-colonial political landscape. Two important structural changes occurred in the politics of the Sinhala-Buddhist south with the election victory of the UPFA in 2004 and, especially, 2005. Firstly there was a gradual unification of the Sinhala-Buddhist constituency around the UPFA. This unification occurs at the expense of both the UNP and the JVP. The recoverability shown by the UNP after the major electoral setback in 1956 is not repeated after the setback marked by not-so-severe election defeat at the 2004 general election. Since then there is a gradual decline of the voter attraction for the UNP among the Sinhala-Buddhist constituency. There is also a steep decline of the voter attraction to the JVP in the Sinhala-Buddhist south. Massive increase of the voter base of the JVP in the Sinhala-Buddhist south began to crumble since the JVP left the UPFA. It is not only the UNP and the JVP, whose existence are challenged in this new context, but also SLFP situation is also no better. When the election results of the Northwestern provincial council is closely observed, this becomes clear. Candidates who received higher preferential votes are not SLFP’s party based candidates. But those who can be identifies as post-political party politicians. One has to look at the poor performance of the former chief minister who is a party man. 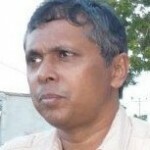 It is also interesting to note the election results of Colombo district in the last general election where a number of post-political-party politicians such as Wimal Weerawansa, Duminda Silva, Champika Ranawaka, Dinesh Gunawardana, Tilanga Sumathipala, topped the list at the expense of party-based candidates. In this sense the UPFA is not an alliance of various political parties in the traditional sense, but a ‘Post-Political-Party formation’. Secondly, the tension between the top layer of the governing elite and the Sinhala-Buddhist nationalist discourse is radically disappeared since Mahinda Rajapaksha won the presidential election in 2005. The alliance that emerged between the Rajapaksha leadership and all major exponents of the Sinhala-Buddhist nationalist discourse still remain well intact. This unbroken alliance has certainly cemented the North-South polarization. With the unification of the Sinhala-Buddhist constituency in a manner that the UPFA can enjoy the monopoly of voter attraction, there is no serious need for it to look for non-Sinhala-Buddhist constituencies to gain the control over the governing process. In conclusion, I propose that the changes that are marked by the UPFA victory in 2004 and 2005 have serious implications for the political future of Sri Lanka. These changes certainly undermined the very foundation of the post-colonial political edifice of Sri Lanka and therefore threatening to the political unity that was built upon the fragile consensus between diverse constituencies. *NB. This is written hurriedly to present as the chairman’s address at the panel on Post Colonial politics of the annual research sessions of the faculty of humanities and social sciences of the University of Ruhuna, held 22nd October 2013. Critical comments are welcome to develop this further. Did Mahinda Rajapaksa Believe He Would Win?